Like Filipinos, the Japanese has a tradition of bringing home pasalubong everytime they go on a trip. That’s why you’ll always find souvenir shops with beautifully wrapped goodies, even in the supermarket (there is usually an area for souvenirs right at the entrance). The souvenirs are always locally made, unique to their region. 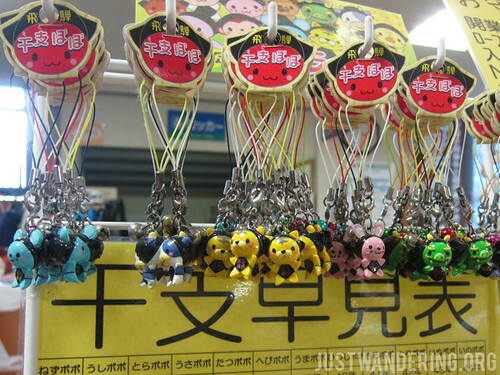 Here are some of the souvenirs you can pick up when you travel in Japan. Though not native to Japan, the Japanese has made it local by introducing local flavors. They vary per region or city, and sometimes have limited seasonal flavors. The Gifu Prefecture has the azuki or red bean flavor (not my favorite), while in Nagano, they had the Shinsu Apple and Hot Japanese Chili. During my first trip, I went crazy, and was able to pick up Green Tea, Strawberry, Azuki, Yubari Melon, Strawberry Short Cake, Blueberry Cheesecake, Hojicha Roasted Tea, and Kobe Pudding. There’s also a Wasabi flavored Kit Kat, and it’s good! You can buy these in most souvenir shops, including the airport. 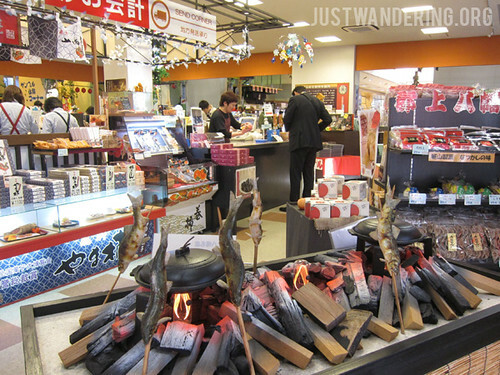 The price can range from ¥600 to ¥1,300. This is another popular thing among the Japanese, and it’s not uncommon to see both guys and girls having more than two strapped to their cellphones. They are super cute, and available everywhere. The most awesome one I saw was a plastic chicken wing. Regretting not getting that. 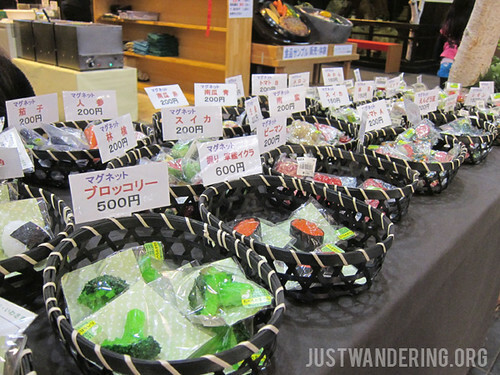 Prices can range from ¥200 to ¥500. Complete Yukata set for ¥4,800. That’s a pretty good deal! Yukata, the casual summer kimono, is another favorite souvenir among tourists. They are not as commonly found though, you’d have to ask around where you can buy them. This Yukata set (which include a pair of wooden slippers) costs ¥4,800 at the Gujo Hachiman Kinenkan Tourist Center. 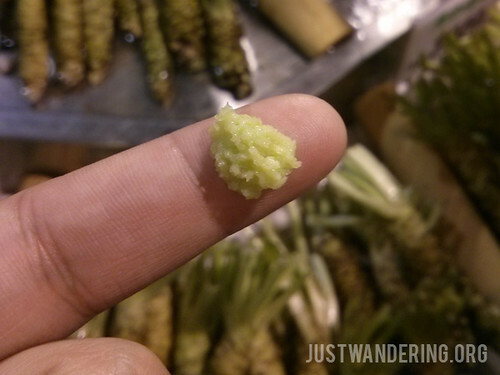 If you’re a die-hard wasabi fan, you better make your way to a wasabi farm. At the Dai-o Wasabi Farm, they sell fresh wasabi, but you need to keep it refrigerated, else it will spoil. They do sell it in paste form, though it is a lot more expensive than the ones you’d find in the supermarket. There are also other products with wasabi being sold at their store, like wasabi chips, wasabi mayonnaise, and cheese with wasabi. As I posted on my Instagram, when I travel, I like buying potato chips that has unique local flavors. If you’re like me, you’ll go crazy in Japan. 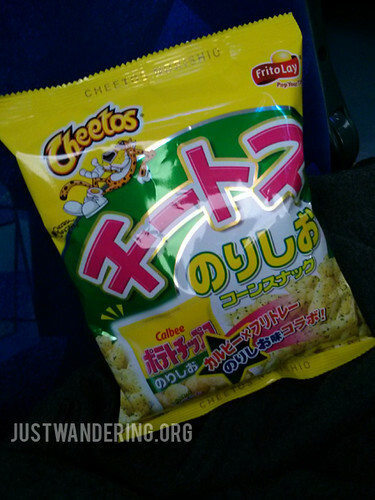 I was able to buy shrimp and tomato sauce potato chips, and this cheese and nori flavored Cheetos. I’m not one for bottled drinks, but I can’t resist them whenever I am in Japan. 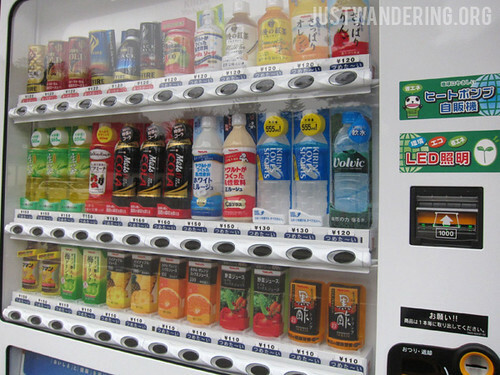 You can buy both hot or cold drinks, and they come in various flavors that you’d want to try them all. If you’re in Japan during the colder months, be on the lookout for Hot Lemon, which is basically hot lemonade. Perfect for keeping warm. Drinks range from ¥80 to ¥150. Gujo is said to be the capital of the plastic food making industry in Japan. You can see these being sold in several shops in Gujo, and you can even try your hand at making some. It’s a good way to uh, immortalize the yummy food you had in Japan, and leave you always craving for more every time you see it. In most temples and shrines, there are shops that sell charms for whatever kind of luck you need. Do you know someone feeling poorly? Gift them with a charm for good health. Are you stressing over an upcoming exam? There’s a charm for that. 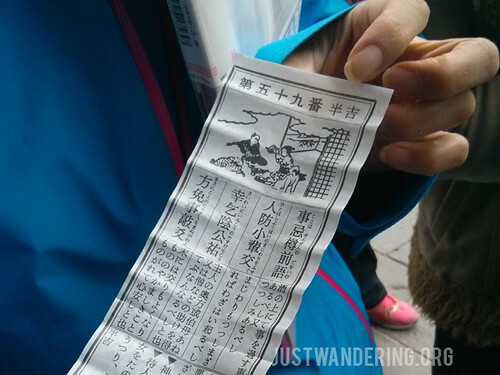 You can also get your fortune told by inserting a ¥100 coin into a fortune vending machine. You’d need someone to read them for you, as it’s written in Japanese. If you have a good fortune, you keep it in your wallet as a good luck charm. That T with a double bar is the Japanese symbol for the post. Getting letters or postcards in the mail is more than just a novelty — it’s special. Taking the time out to write a letter, buy a stamp, and post it is something that cannot be equalled by instant messaging or e-mail. 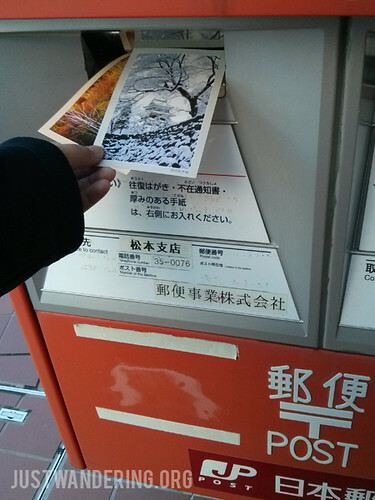 Stamps costs ¥70 to send to Australia. Not a bad souvenir, and quite affordable too! Mura no? I didn’t expect to see that either! 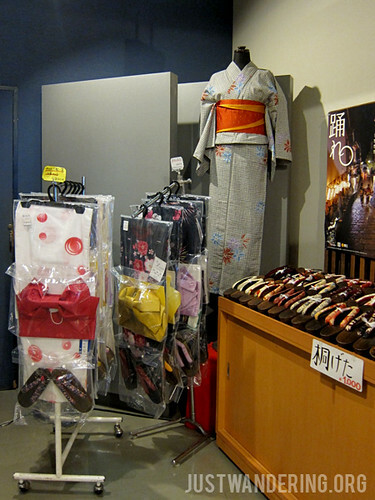 They have both the men’s and women’s yukata, selling for the same price. Thank you for sharing this. Very helpful for first timers in Japan. 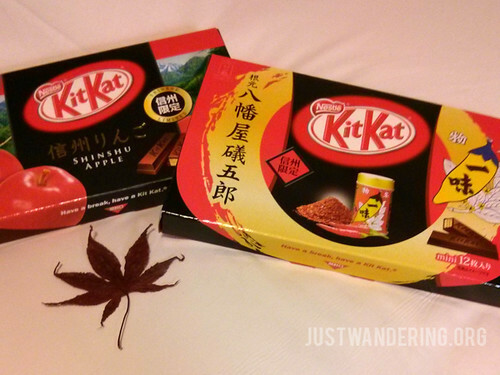 Don’t forget the green tea kitkat and daruma dolls!